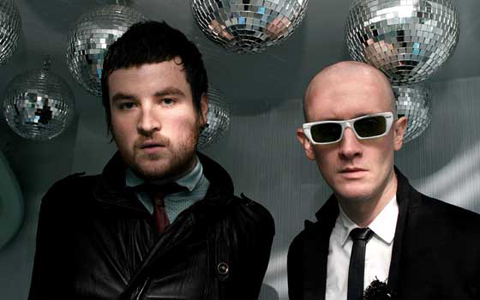 London’s electro-duo are coming back to the states. After a busy 2009, the duo are coming back to the United States hitting the West Coast with a few key dates and then back to Europe. They also have a new Kickstart EP coming out April 29th, 2010. Don’t miss one of the finest electronic live acts around. MGMT premiered the music video to their lead single “Flash Delirum” today on their somewhat anticipated sophomore album Congratulations. Awkward, odd and a tad over ridiculous just like the song itself, the video’s strange story telling mechanisms are unintelligible. But that shouldn’t stop one from possibly thinking this is brilliant. Though not as dance-heavy as their previous singles, the video continues their exploration into what an incredibly drugged imagination may produce. The video was directed by Sweden’s Andreas Nilsson who directed Fever Ray’s “If I Had A Heart.” If that tells you anything, then you’ll appreciate MGMT’s new music video. Congratulations will be released April 13th on Columbia Records. 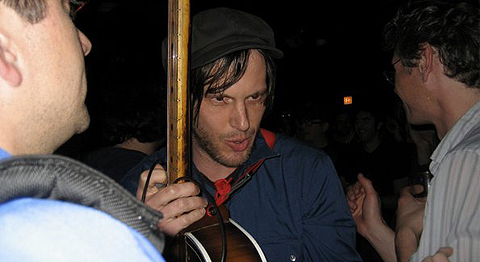 Product Shop NYC announces that Jeff Magnum (of Neutral Milk Hotel) will be performing at Le Poisson Rouge on May 6, 2010. The show will be a benefit show for Chris Knox who suffered from a stroke last year. Chris Knox happens to be in iconic punk rock New Zealand band Tall Dwarfs. It’s been years since I’ve listened to Neutral Milk Hotel’s In The Aeroplane Over The Sea, but regardless of whether Jeff Magnum plays any songs from that album or not this is a show not to be missed. Tickets are on sale May 30, 2010. It’s also for a great cause for a pioneer. Idolator posted these hilarious parodies of Lady Gaga’s “Telephone” with the Key of Awesome’s being the most clever. The video covered all of the corners of the song all under three minutes. The video, shot by Lindsey Rome in double vision through the barrel of a dusty camera’s sights finds Jamie returning to the songs birthplace, the beaches of Western Australia, to shout it out from the sands. Joined by Chilly Gonzales and Dan Rossen (of Grizzly Bear), the track is reminiscent of the mad scientist experiments from Multiply. Jamie’s new album Compass seems to be following suit. The album will be released May 18, 2010 via Warp Records.